Former PD leader Noel Grealish is set to seek re-election in Galway West as an independent candidate. 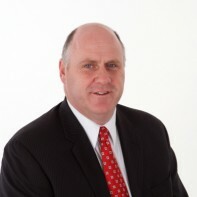 Grealish was elected in 2007 as a Progressive Democrat but, following the dissolution of the party in 2009, decided to remain independent as a deputy. He withdrew his support for the Fianna Fáil-Green coalition in September 2010 after three years of support, stating that he could not support them in good faith while swingeing cuts to the health sector were proposed. Grealish was first elected to the Dáil in 2002.